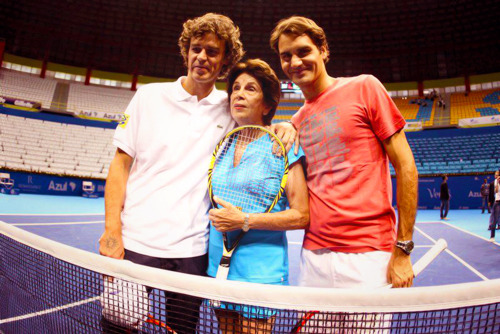 Roger Federer today met the Brazil's tennis greats Maria Esther Andion Bueno and Gustavo Keurten. 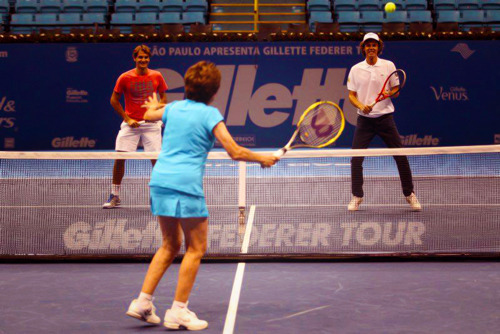 Maria Esther Andion Bueno is a former professional tennis player from Brazil. 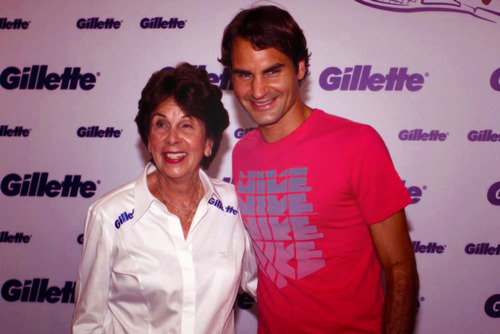 During her 11-year career (plus a two-year comeback in 1976–77), she won 19 Major titles (seven singles, 11 women's doubles, one mixed doubles). She was the year-end number-one ranked female player four times. & of course, as you all must be aware that Gustavo Keurten or Guga is a three time grand slam winner (won French Open in 1997, 2000 & 2001) & is the last ever man in the last 8 years to have defeated Roger Federer earlier than the Quarter-Final stage of any stage. 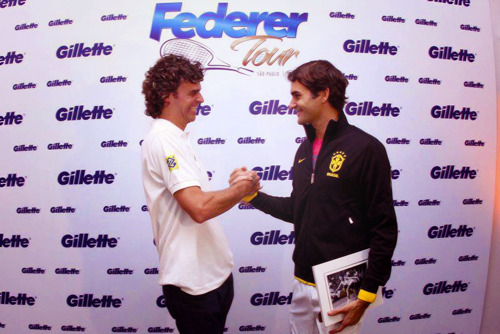 (Gustavo Keurten defeated Roger Federer in the 4th Round of French Open, 2004 & since then, Roger Federer hasn't ever lost before the quarter-final stage of any Grand Slam).